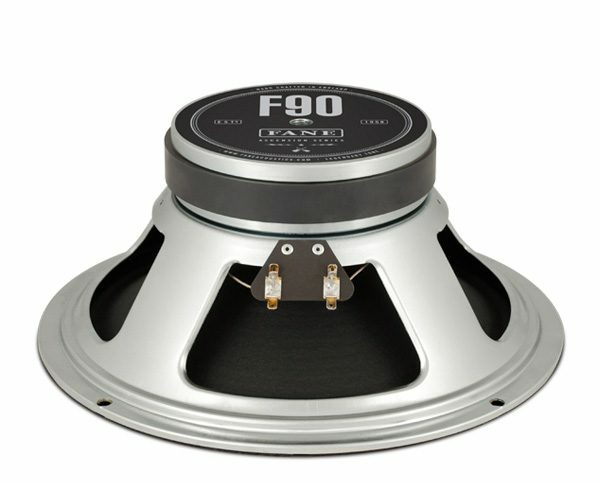 The ceramic magnet, 12-inch, 90 watt, Ascension F90 is the speaker of choice for modern rock and metal sounds. Its articulate high end and super-tight bottom deliver precision and punch while maintaining the legendary Fane tonal character. Suited for use in closed back 4x 12 and 2x 12 cabinets as well as single open back applications, the F90 makes a bold tonal statement. Even at low volumes, the F90 provides a great low end you can feel, and thanks to its high power rating can handle the most punishing high sound pressure level situations.